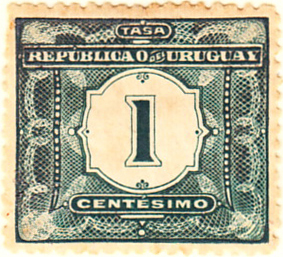 Uruguay has a splendid set of firsts. 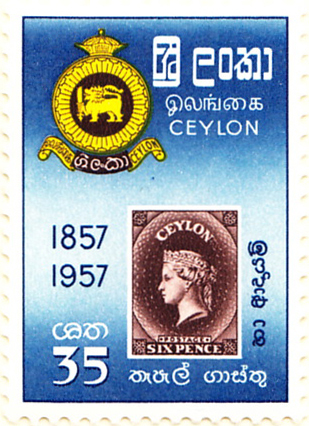 The 1st October 1856 #1 is rather expensive, but similar designs were used for nine years and so it is represented by the 1859 FSP. 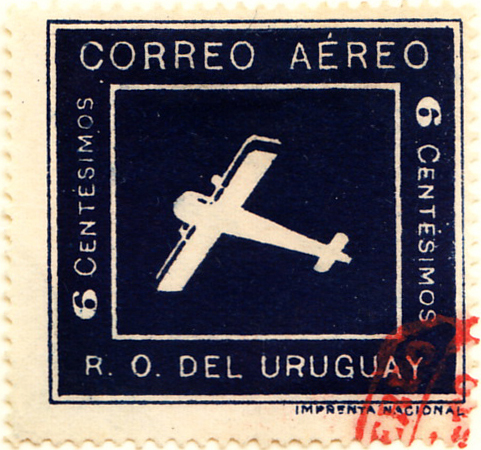 It also features in miniature on a 1956 airmail commemorative and on the 1971 miniature sheet shown overleaf. 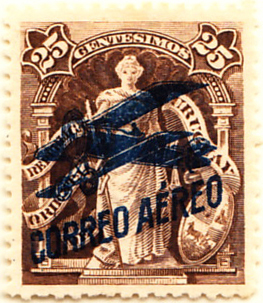 Both the first and the first real airmails are worth seeing. 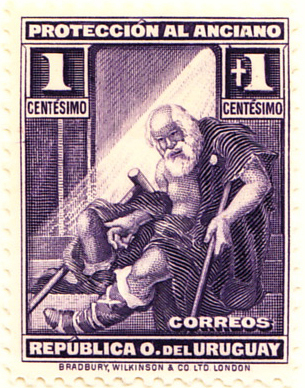 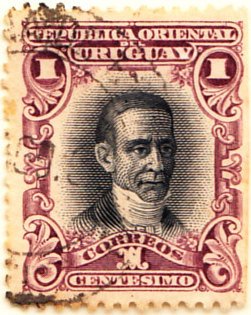 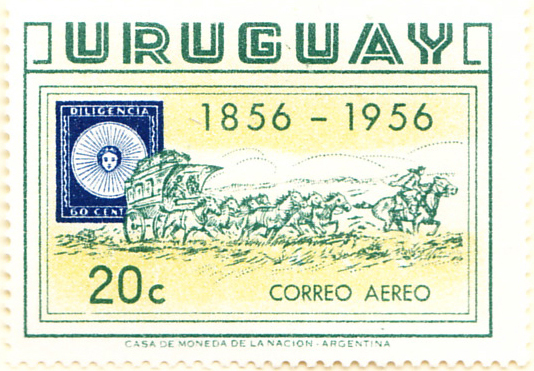 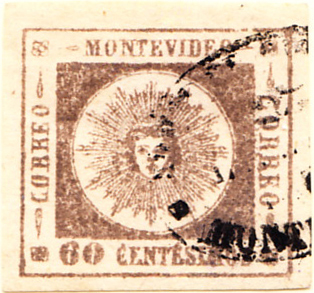 A second miniature sheet has been added, showing Uruguay's first stamp, first airmail, but also several UK stamps. 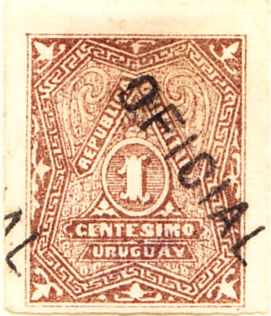 There are stranger miniature sheets (including a very messy Belgian item), but this is a remarkably eclectic example and can only have been designed by committee. 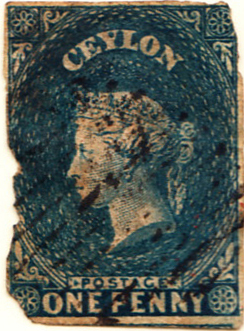 Gibbons and Scott reverse their first and second issues: the inexpensive 24th August 1857 1d blue is shown rather than the £7.5k/£450 1st April 1857 6d purple-brown. 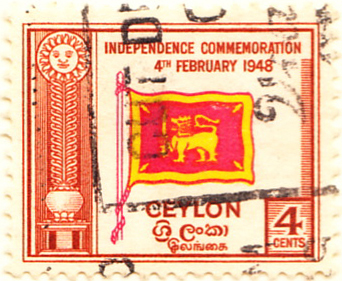 The latter stamp was commemorated in 1957. 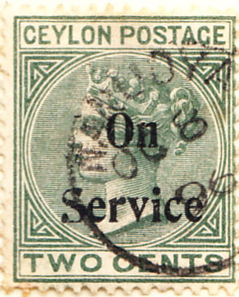 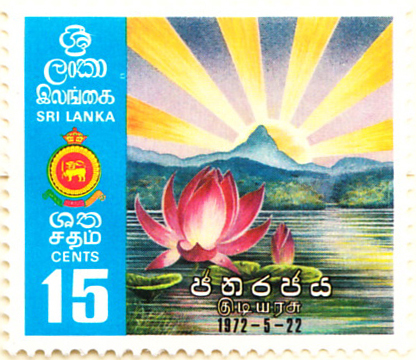 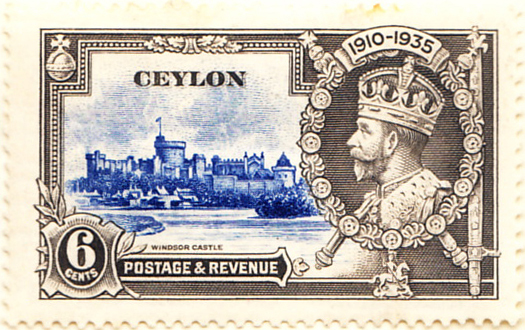 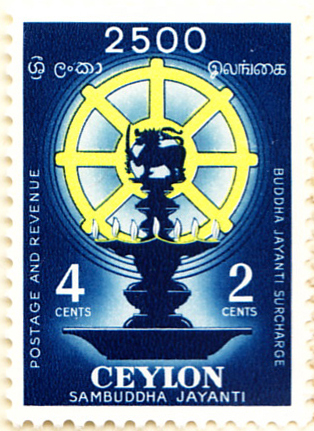 Ceylon achieved independence in 1949 and in 1972 became Sri Lanka.